The French police “likely” used excessive force against migrants after dismantling the camp in Calais a year ago, an independent inquiry has found. But the ministry of interior insists that the “most serious allegations” were rejected. EURACTIV’s partner Ouest-France reports. 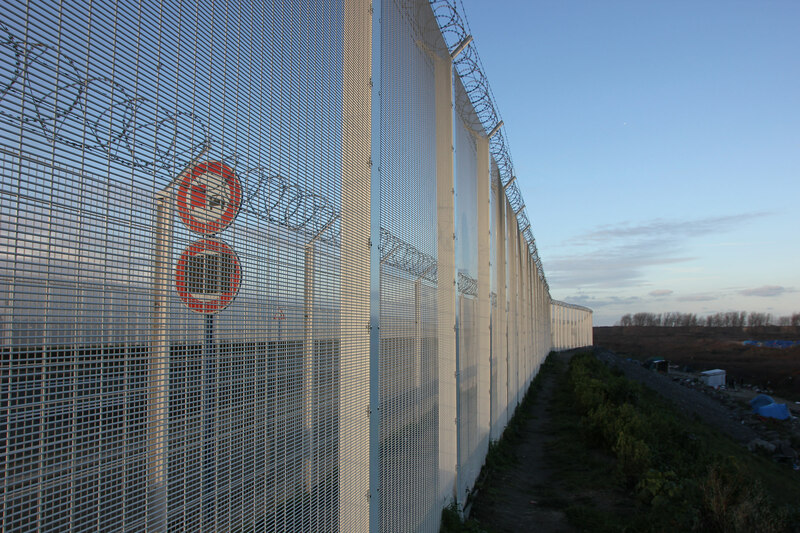 An inquiry was set up after international NGO Human Rights Watch accused the police of using excessive force against migrants in Calais. In its report, published on Monday (23 October), it said the allegations of use of excessive force by the police were “likely”. In a press release published shortly after the report, Interior Minister Gérard Collomb highlighted that “no element in the report sustains the most serious allegations made” by international NGO HRW in July, particularly the “routine” use of pepper spray. Its use was “highly unlikely” according to the report. The bilateral agreement on the policing of the UK border on French territory could be one of the first victims of Brexit. EURACTIV France reports. On the accusations of physical abuse, the report said that in most cases, injuries and wounds are the result of migrants’ attempts to jump onto lorries or of infighting between migrants. “Nonetheless, numerous witnesses and sources confirm a disproportionate and unjustified use of force on migrants and humanitarian workers,” write the authors. They condemn an “abuse” of teargas, the “destruction of migrants’ personal belonging”, and the failure to display policemen’s matriculation numbers. In his press release, the interior minister reinforces his “trust in security forces”, affirmed that he asked police chiefs to “remind systematically the rules on police intervention, especially during the demolition of camps”. 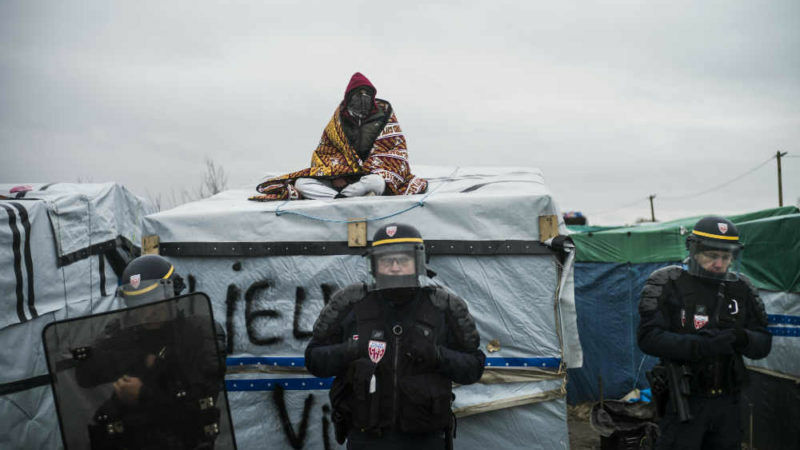 The report by HRW, published in July, amplified the concerns voiced by associations regarding the treatment of migrants by police forces, after the former returned to the city following the demolition of Calais’ infamous “Jungle” camp in October 2016. 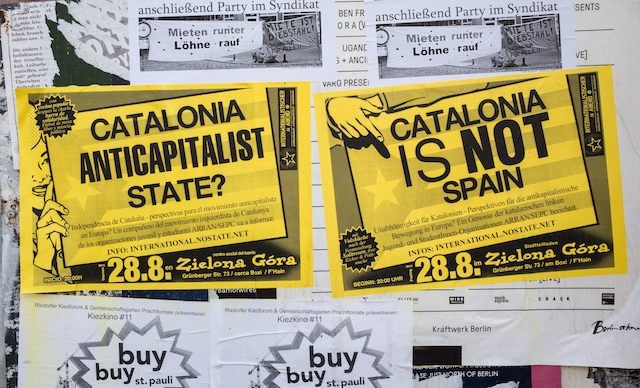 Catalonia, a viable independent state? Nobel laureate Joseph Stiglitz tells EURACTIV.com that the region would be accepted in the EU and therefore become a viable independent economy if it applied, but the former chair of the UK’s Financial Services Authority Adair Turner disagrees.